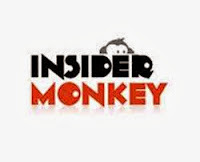 The following article was written by our guest author Insider Moneky. Carl Icahn may have lifted the company’s market cap by $20 billion in less than two days of trading last month, but Apple [s:AAPL] isn’t his best stock pick. There are four positions in the multi-billionaire’s equity portfolio that are worth looking at before Cupertino. We’ll show you which ones and explain why. At the end of last quarter, Carl Icahn’s hedge fund held long positions in 19 different companies totaling a market value of $21.5 billion. With Icahn’s pedigree as an elite activist investor, it’s not surprising that he’d have that much money in U.S. equities, but it is a bit intriguing that four of his eleven largest picks are small-caps. According to our research at Insider Monkey, hedge funds’ small-cap picks have the highest potential to outperform the market over a sustained period of time. Our premium newsletter, which employs this strategy, beat the S&P 500 by nearly 30 percentage points in its first year (discover how we did this here). With that in mind, let’s run through the four largest small-cap investments in Icahn’s equity portfolio. Each stock had a market cap between $1 billion and $5 billion at the end of the last 13F-filing period. CVR Energy [CVI] is Icahn’s largest small-cap holding, and his stake comprises more than four-fifths of its outstanding shares. After grabbing exposure in CVR Energy last year, Icahn’s initial goal was to push for a sale of the company to a larger buyer. Once this move failed, he then guided CVR to spin off its refining subsidiary in January. In his last filing, Icahn held $3.6 billion in CVR Energy stock and $138 million in the spinoff, CVR Refining [CVRR]. The latter has returned just 0.2% post-IPO, but CVR Energy shares are up almost 70% since Icahn first established his stake in early 2012. The bet has been very profitable for Icahn, and with gushing refining margins in its last few earnings reports, there may be more appreciation on the horizon for CVR Energy. Federal Mogul [FDML], meanwhile, is another high-flier in Icahn’s equity portfolio. The hedge fund manager’s second largest small-cap holding has been a key investment since 2011. In the summer of that year, Icahn established his original position in the auto part maker, and he has held a controlling interest ever since. Shares of Federal Mogul are up a whopping 177% in the past six months on the back of a massive earnings beat last quarter and a fairly extensive restructuring program. Herbalife [HLF] needs no introduction, and is the next largest-small cap in Icahn’s portfolio. The multi-level marketer had a market cap below $5 billion at the end of last quarter, but its value has since risen by about 50%. Over the longer term, Herbalife shares have more than doubled since the start of 2013, and the market hasn’t been convinced by Bill Ackman’s “pyramid scheme” accusations (see his full presentation here). Icahn has shown no hesitation to call out Pershing Square’s manager for being “totally wrong” and “ridiculous” in his words, but Ackman hasn’t shown any signs of closing his short position in Herbalife. As for Icahn, he thinks the stock is still cheap at current levels. Hain Celestial Group [HAIN] is the next largest small-cap in the activist’s equity portfolio, and surprise, surprise, this stock is having a good 2013 too. Shares of the organic food and personal care product company are up 37% this year, and Icahn closed out his $470 million position a little over two weeks ago. Since he established his Hain stake in early 2010, the stock’s price has risen from around $22 per share to the upper $70 range. As CEO Irwin Simon explains in a recent interview with CNBC, “Hain today is positioned better than it was when Carl got in … because of the awareness of healthy eating.” In other words, it’s the secular tailwinds—not just Icahn’s influence on a couple M&A moves—that have driven Hain’s appreciation. The organic boom doesn’t look like it will end any time soon according to the USDA, so we still like Hain Celestial post-Icahn.